There are many winners in the world and nothing makes you feel better than becoming the hero you have always wanted to be. 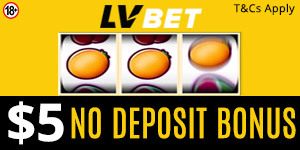 At the age of 25, one Swedish player visited VegasHero Casino and proved this claim by trying his luck. The player decided to try his favorite slot, spun the reels, and eventually won the jackpot. It was a big win and it’s surprising to know that the win can be traced back to a toilet! The idea of sitting on a toilet may sound unusual. Andrej was determined to go home with a massive win. Divine Fortune from NetEnt was one of the player’s favorite slots. Interestingly, Andrej wanted to withdraw the amount he had already earned before placing the bet. He decided to place one more bet and ended up winning a massive 1.6 million SEK. The newest millionaire in Stockholm decided to first repaint the toilet in gold, which is definitely the best color for his palace. It’s interesting to know that you can have fun playing games in a toilet. After the impressive win, Andrej explained how he tried his luck while sitting on a toilet. According to the happy player, he retained his previous earnings and decided to spin. He ran to his family with shouts of happiness saying he had scooped the jackpot. They didn’t believe him until they saw the evidence. Andrej said he would pay his debts and perhaps plan a trip. Congrats to Andrej and good luck to everyone. May you win and share your stories with us.